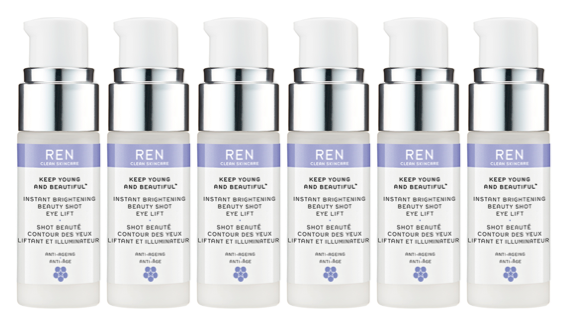 It all went a bit quiet on the REN front while this much-loved beauty name settled in with its new ‘parents’ (Unilver), but the pace of launches has picked up and we’re more than a little relieved that REN’s new innovations live up to the expectations we always had when founders Antony Buck and Rob Calcraft were at the helm. Case in point: this fab eye-awakener, a gel-serum packed with light-reflective pigments so that even the most knackered eyes instantly look brighter. It’s got a slew of bio-active ingredients including something that glories in the name ‘Tuberose Active Shells’, alongside a complex to firm the eye contour area, and a good slurp of hyaluronic acid. It’s coolingly pleasant-to-use, lightweight enough not to make eyes puffy (as heavy creams can do), and we love the instant benefits. (It’s also dinky enough to carry around, should you be so inclined.) Longer-term, we’ll leave it to our Beauty Bible testers to comment on how it targets wrinkles – but if you’re in the market for a quick eye fix, look no further.